Upon clicking the image below, you will be directed to an online scan of Jack Dempsey’s classic Championship Fighting text. Additional formats can also be accessed here. Please note – If you opt to read the online version, you may need to alter the magnification by clicking the + or – lens in the lower right hand corner. Failure to do so could cause certain pages to be missed. As for the material itself, Dempsey’s text is a must read for anyone involved in boxing. It is always useful to learn from legendary fighters who came before us. Whether you agree with Dempsey on all topics is of less concern. As Bruce Lee would say, absorb what is useful, discard what is not. As for his beliefs on training, I support many of Dempsey’s conditioning ideas. He strongly believed in using the sport as a primary means of conditioning. He considered sparring, brisk shadow boxing, and bag work to be essential conditioners. Dempsey goes on to discuss the importance of running and jumping rope. He then goes on to discuss the importance of calisthenics and protective exercises to harden the midsection, develop the neck, and strengthen the hands. In summary, Dempsey believed strongly in conditioning oneself through the sport itself. Such work was then supplemented with basic activities such as running, rope skipping, and calisthenics. Ironically, many modern boxing trainers follow a similar approach. Those with experience coaching the sport recognize the significance of the actual boxing training. Such work is obviously important for skill development, but also critical for conditioning. Unfortunately, the significance of sport training isn’t written about very often. Boxing trainers don’t typically publish training articles. It is more common for strength and conditioning coaches to write such material. Therefore, it comes as no surprise that the bulk of conditioning related material is focused towards other facets of training. If the S&C coach isn’t involved in the boxing training, he will naturally write about other topics. If he doesn’t highlight other areas, he would essentially diminish his own significance. Yet as I make these comments, please don’t misconstrue my intent. I am not here to knock the strength and conditioning profession. Speaking as a boxing coach however, I do believe certain S&C coaches attempt to be too involved in the training process. As a result, the fighter isn’t able to focus as much attention to the sport itself (ie. sparring, mitt work, bag work, etc.). It is these activities that are most important for the skill and conditioning development of the fighter. And again, this isn’t to say that the supplemental work isn’t relevant or important. I do believe that supplemental conditioning for a fighter can make a difference. Such work will always be secondary to the actual sport however. There have been many dominant champions both past and present who were highly conditioned fighters without any of the new-school advancements that are often touted today. Such athletes excelled by relying heavily on the sport. They sparred hard. They hit the bags hard. They hit the mitts hard. They worked through their exercises religiously. There wasn’t anything fancy in terms of equipment or programming. In summary, I am always open to new ideas, but I am also aware that fighters have been well conditioned for many years now. The best way for a boxer to get in shape is by working with the gloves on. Supplemental work can then be added in small doses. Such additions can be useful, but don’t allow them to interfere or take precedence over the actual sport. Yes, indeed, one of the very best books on boxing ever written. It took me years to find a first edition copy with dust jacket as shown above. Dempsey was one of the best boxers of all time. Very aggressive and ALWAYS in top condition when he fought. Ross, whatÂ´s your opinion about Dempseys punch technique? His power line explanation and aiming with the ring finger knuckle is useful information but I`m not sure about that the palm must facing towards the inside of the body instead of turning the palm down. I`ve always fought with the palms down and aiming with the index finger and the middle finger knuckle. I will give Dempseys way of punching a try, but is it still good to punch by aiming with the ring finger knuckle and palms facing the floor? One form of training it seems all or nearly all the old-time fighters did outside of their “gym routine” was chopping wood. I’ve read Earnie Shavers credited for it for helping him add to his already monstrous punching power, and Ali said it really helped develop his stamina. I’m thinking Marciano must have been the first fighter to come up with punching in shoulder deep water in a pool. Marciano was way before his time with his version of water aerobics. Jim Jeffries would actually use wrestling as part of his conditioning exercises. Dempsey must have been some kind of powerhouse the way he pummeled the 245lb Jess Willard around. Willard might not have been much of a fighter but he was huge and strong as an ox. Willard was the size of a modern day heavyweight and Dempsey would be “light” for a cruiserweight nowadays. I’ve heard you talk about it more than once, and it doesn’t surprise me at all that it is mentioned again…and that’s about sparring. Nothing can substitute for sparring. My biggest problem. I cannot find anyone to spar with me. I’ve put up ads on Craigslist, but I’ve not had much luck. People tend to think I just want to fight. I want to spar. I’m thinking I just need to find a gym somewhere. There’s lots of martial arts places advertised, but I haven’t heard of any boxing gyms in my area. I know they’re there. I suppose part of me is hesitant because I have a feeling that even though I’ve been training my hardest, I think I’d go in there and have the tar beat out of me. Who knew Dempsey’s thinking regarding training was so advanced and generally ahead of its time? 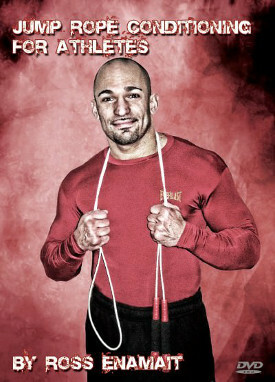 Frankly, not I. Bloke has to be one of the most intelligent fighters to step between the ropes. I read some of the rest of the book too and it’s great! Thanks, Ross, for bringing me out of the dark and acquainting me with what seems to be boxing’s equivalent to baseball’s book on hitting by Ted Williams. 2) He was one of Mike Tyson’s all-time favorites (and MT was quite sharp on boxing’s history). I just started sparring after putting it off for years due to thinking the same thing, that I’d get pummelled, well I eventually tired of my traditional martial arts and that niggling feeling that a lot of it would fall apart if I got hit so joined a local MMA club. The sparring is very progressive, ego free, and surprisingly pleasant. Nobody is out to hurt anyone, everyone is friendly and I am kicking myself for putting it off for so long. The first sparring session was set up just for beginners, a simple three punch combo, doing it very light, taking it in turns, guard up the whole time so you barely get hit then gradually mix it up a little. After that its been normal light sparring for the most part. I’m sure it will get heavier as I improve but pretty much any trainer worth his salt wants all his students to improve, that means not scaring them away with a pounding on their first class. Remember, if you don’t like it, stop, there is no compulsion to keep going. We actually used Dempsey’s text, in all places, in my Tai Chi class. Chen-style Tai Chi Chuan is a martial art (although not usually practiced as such), and a lot of what Dempsey says applies to it and other martial arts. We placed particular emphasis on the drop step for striking. I agree with the other poster about being surprised that Dempsey hit with the three outer knuckles instead of the middle and index. My Tai Chi teacher recommended doing knuckle pushups with both combinations and seeing which felt more solid. I prefer the middle and index for punching, but I do find that hitting with the outer three knuckles is more comfortable for speed bad training (I have wrist problems from a repetitive job). I also agree with the above poster about keeping the palm down for at least most strikes: it gives an extra “snap” to the hit. i am of the opinion that if we were able to see every heavy weight fighter in their prime… tyson ali louis marciano frazier and everybody else jack dempsey would whip them all. i think it would go like this,,, dempsey marciano louis and then ali. i thought this for years. Jack Dempsey wrote a book on punching? Thats frikken awesome! I always thought he was just a natural and that he didn’t even know how he did it himself. He doesn’t even mention it in his autobiography! Thats just to cool; I know what I’m buying next. I read a book on Bruce Lee talking about him reading Joe Louis’ book on bag work! I really hope such a book exists as well. Louis, Dempsey, Holmes, and then Foreman, … Ali is in there somewhere. Everyone used a vertical fist for punching to the face. The reason of it was that they prepared for bare-knuckle matches (no bandage, no anything) and for self-defense purposes. The reason of using the vertical fist is the following: if you hit someone in the face without gloves, and you miss the strike, it may happen, that it lands with the pinky. Because there is no support behind the pinky, it will be pretty surely broken (the support is behind the index and middle finger). However if you hit with the vertical fist, the support is behind pinky, ring, and middle finger. Another nice feature of the vertical fist is that if someone keeps a standard double cover defense, the vertical fist could penetrate it (of course depending on the glove side). However, things change, people nowadays box with 10-12-14-16 ounce gloves, with bandages, and our tests show that with big gloves, the horizontal way of punching is more efficient, you can hit harder, your hand is protected, nothing to worry about. However, if you practice boxing for self-defense purposes, i suggest the vertical fist without gloves. This book made me look real hard at my Kung Fu training, Wing Chun. In researching, bare knuckle Pre Queensberry rules boxing chronologically fits into the time frame of the British merchant seamen travelling to South East Asia for trade. Today, I teach boxing for sport & bare knuckle boxing for self defense. The similarities & pparallels are uncanny. The late Bruce Lee read Championship Fighting by Jack Dempsey & the notes he took from this book were later published in the Tao of Jeet June Do. Great read JD’s book ! I read somewhere that Jack Dempsey did 200 pullups a day. Anyone else hear this ? It might have been the icing on the cake for his renowned punching power. I agree with Jerry McKernan. 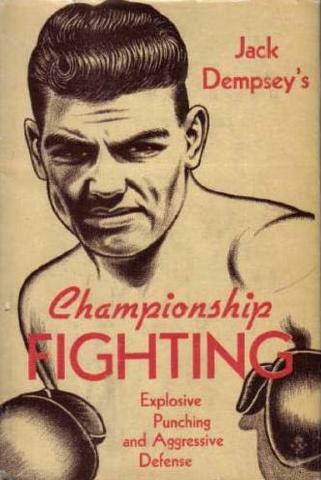 Dempsey, at his peak would have beaten any fighter who ever lived. His combination of unbelievable punching power, his tremendous speed, his bob and weave style, the years of hard struggle, his ability to take a hard punch and keep coming and his subconscious mindset that every fight was a battle to the death made him unique among all fighters. Louis was great, truly great and so was Marciano, but Dempsey was too shifty and too fast for either of them in my opinion. However, Dempsey aside, there is one champion everyone forgets and he has to be ranked up there with Dempsey, Louis and Marciano and that’s Gene Tunney. Tunney was a master boxer, had knockout power and in my opinion would have beaten Muhammad Ali without a doubt. Listen, you can talk all you want about today’s behemoths but if you really know your boxing you realize they couldn’t have gone more than a round or two with any of the above. Size is really unimportant if the guy you’re fighting is faster, hits harder and is much tougher, i,e, Dempsey, Louis, Marciano and Tunney. Never mistake size- huge muscles and weight- for real power and skill, which the old-timers possessed in abundance. Their “dinosaur” training methods would kill today’s fighters before they ever got into a ring. There have only been a few great fighters in the past thirty years in my opinion, and among are: Roberto Duran, Sugar Ray Leonard, Marvin Hagler and Tommy Hearns. Oh, I forgot one of my favorites: George Foreman. Love the man! Great fighter.